Bank of Canada Governor Stephen Poloz said Wednesday that inflation could be their chief concern in the event of a major trade policy change. Canadians shouldn't expect the Bank of Canada to immediately ride to the rescue if Donald Trump hits the country with auto tariffs. Governor Stephen Poloz and Senior Deputy Governor Carolyn Wilkins each capped a press conference Wednesday by warning inflation could be their chief concern in the event of a major trade policy change. U.S. President Donald Trump has suggested a 25 per cent on imported light-duty vehicles, and a 10 per cent tariff on auto parts. While tariffs on cars would undoubtedly slow the economy, the bank would be constrained by upward price pressures when considering a policy response. "That puts monetary policy in a very awkward place," Poloz said, stuck between an economic downturn, which would typically warrant lower borrowing costs, and rising prices and a weakening currency that would be pushing inflation higher. The bank's mandate is keep price gains near its two per cent target. The Canadian Automobile Dealer Association said last week that the average consumer impact of U.S. tariffs would be between $5,000 and $9,000 per vehicle. 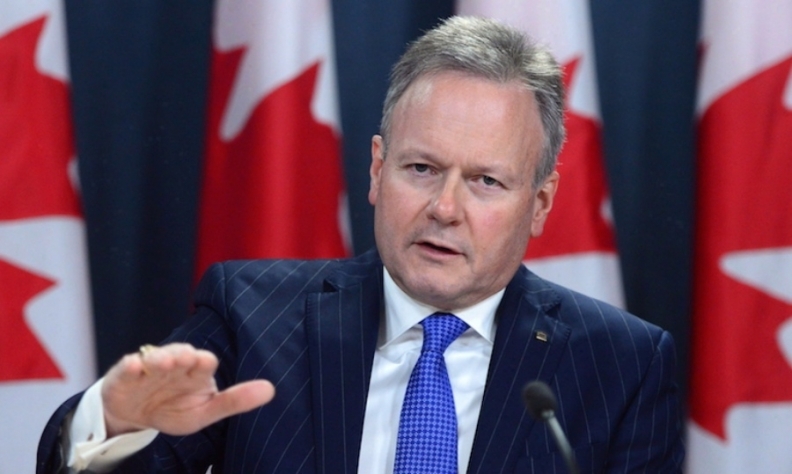 "The last thing you can have happen is have inflation expectations begin to be revised upwards," Poloz said when asked about auto tariffs after raising the bank's benchmark interest rate in Ottawa. "The inflation part would probably dominate that analysis, but I can't prejudge it." Wilkins emphasized the point, saying "you need to understand what monetary policy can do and what it can't." In the event of a "structural change" like auto tariffs, "we need to look to other policies to fix that problem or to address that problem, because monetary policy just isn't suited to do that, and it shouldn't be." Canadians may take stable inflation for granted, but it remains the bank's primary focus. "Monetary policy still has a lot of power to do its job, which is to target inflation," Wilkins said. "Inflation control is just at the base. We take it a little bit for granted because we've had it for so long." That doesn't mean auto tariffs would be painless. Cars and car parts represent about 1 percent of the economy, but "100 percent of the economy for the affected families," Poloz said. The sector is also "very symbolic" and could spur widespread economic concerns. "The auto sector's like motherhood and apple pie or something to the Canadian and U.S. economies," he said. "So if you're willing to do something to disrupt all of that, I think people would naturally feel much more vulnerable, they would feel like, well, what's next? There would be a major confidence effect. So I think symbolically it would have a very out-sized effect on the economy."